Proud Manxman and local historian John Karran Qualtrough has passed away and his life was celebrated in a service at Rushen Parish church. Born in 1940 in Port St Mary, when he was 10 months old his father was tragically killed in an agricultural accident. His mother Nellie, who had to survive on a widow’s pension of just 50p a week, moved back with John to the family home in Hillcrest, Cregneish (not ‘Cregneash’, said John). There he enjoyed a happy childhood with his devoted mother, grandparents, uncle Stanley and auntie Em and the family dog, Dusky. Schooling was at Rushen Primary School and from a very young age, he would walk the long and winding road between Cregneash and the Four Roads. Despite being a bright student at Castle Rushen High School, the family finances could not stretch to university, so he left at 17 and began training as an accountant, earning £1 a week. By now he had formed a relationship with Barbara, who went to the same school, and they married in 1959. They went on to have four children, Carolyn, Sharon, Andrew and William. He worked in government health services and then at the general registry where he developed his interest in genealogy. He then became Deemster Eason’s clerk and later worked in Athol Street, where he studied law. Following this he became manager for a wealthy client, in this post he travelled to and from Iran frequently. While the Shah was still in power, the regime was peaceful and John (and on one occasion Barbara too) enjoyed Middle Eastern hospitality. John was in Iran when the Shah was deposed in 1979 and he made a swift exit. His client, who was suddenly a marked man, had to be smuggled out of the country lying in the belly of a light aircraft. At this time John also ran a farm at Kennaa, St John’s. John then took over a small financial business in Castletown and he and Barbara moved back to Port St Mary to live. 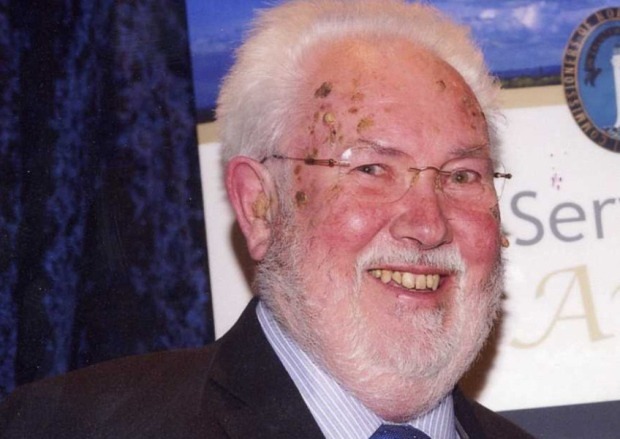 He retired shortly afterwards and developed a keen interest in local history and he ran a popular course on Manx history at the Isle of Man College. He was the co-author of ‘Industrial Archaeology of the Isle of Man’ and many factual booklets about the island. He also delved deeper into geneology and researched many family trees. His experience in Iran gave him a taste for travel and he and Barbara enjoyed many oversees trips. He was also passionate about local affairs. He spearheaded the formation of the residents’ association, which he chaired, and organised public meetings at which the public could get answers and air their grievances about Port St Mary’s then large deficit. He was strenuous in his protection of Cregneish (as he said it should be spelled) and strove to retain a village community there if he felt it was under threat. John was devoted to Barbara, his children and grandchildren. He was immensely proud of all of their achievements and encouraged and revelled in their adventures and stories. ‘Travel, fine dining, sailing, golf. Avid reader, Organ player, art collector. Carpenter, lawyer, financial advisor, booker keeper, taxi driver, researcher, historian, story teller and cook. ‘His glass was always half full, with a twinkle in his eye and a wicked sense of humour. Cravats, cigars, safari suits. ‘He encouraged all of us to pursue our passions, stimulated our thirst for knowledge and inspired us to seek out as many new experiences, cultures and adventures as we could achieve.